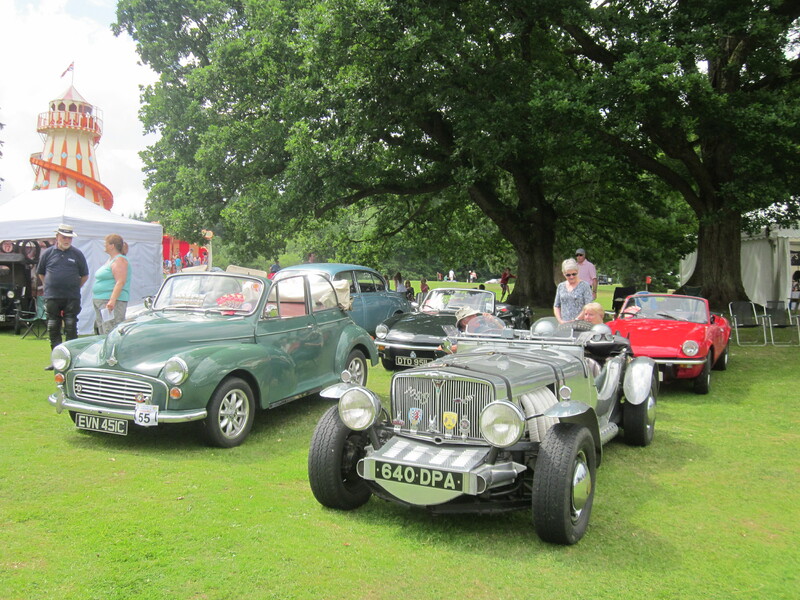 The Forest of Dean was the location for the Festival in the Forest weekend – 4/5 July – at which the museum staff arranged a display of classic cars to join the museum’s Austin Seven. Friends and staff of the museum brought along their classic cars and were joined by members of the CSMA Classic Car Group. The dozen or so cars attracted a lot of interest, especially the hand-built sports car based on the Rover P4 chassis and running gear. The prospect of winning our 2015 ‘Cotswold Classic Car Weekend’ prize draw ensured a good sale of tickets amongst those visiting the display.